The 8th Word Wonder! 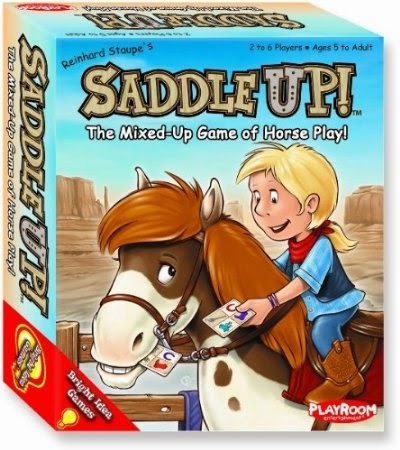 Speech & Language Therapy Blog: Playroom Entertainment Game Review: Saddle Up! 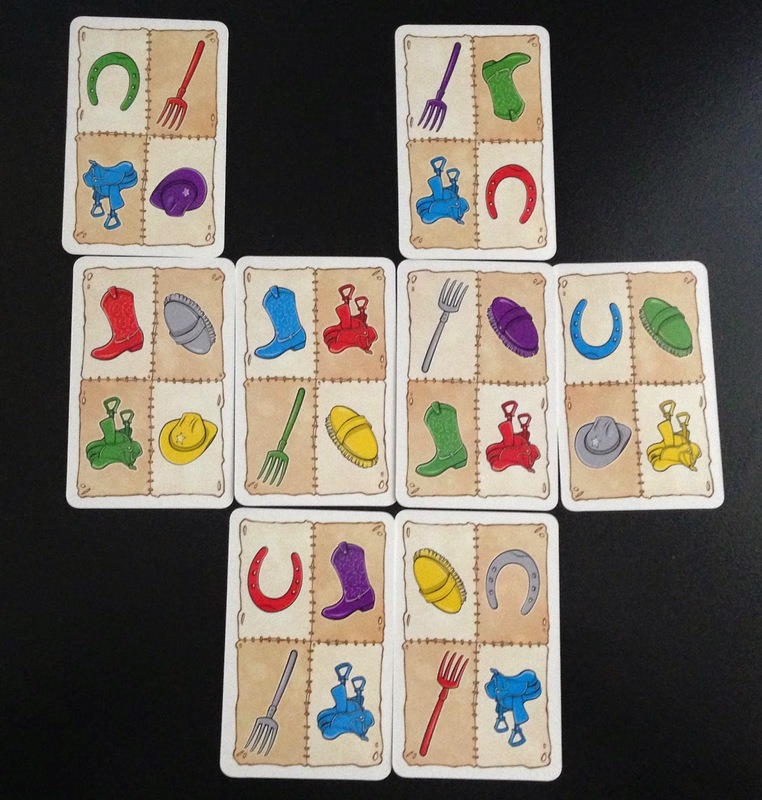 The game consists of 50 cards, each of which depicts four horse-related object in four different colors. The object of the game is to place your cards in such a way so that no two identical colors or objects are touching. As with most Playroom Entertainment card games, there are multiple variations of play, which allows you to be flexible with the level of difficulty. Version 2: Shuffle all of the cards. 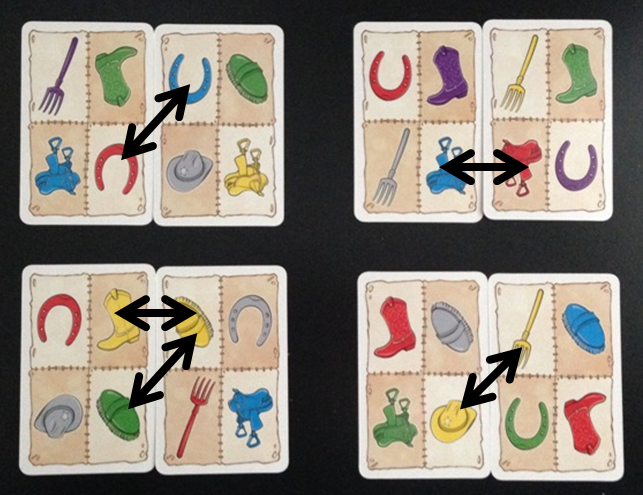 Each player receives 7 cards and the remaining cards are discarded. All the players then race to create a grid using their seven cards while observing the rules. The first player to create a correct grid is the winner. Version 3: Shuffle all of the cards. Each player receives 7 cards and one card is placed face up in the middle of the table. The remaining cards are discarded. All of the players simultaneously look for a position on the grid to place their card. The first player to play all of their cards is the winner. Of course you could also play the game after the rules of "Uno", and have players take turns playing a card. If they can't go, they draw a new card. The first player to play all of their cards is the winner. I actually found this game quite challenging! It is easy to overlook a picture and make a mistake. This makes it a good game for children who are working on visuo-spatial processing and impulse control.﻿﻿﻿﻿﻿﻿﻿﻿﻿ Because this game is quite affordable, it would also be an excellent stocking stuffer!